2016 Mercedes-Benz G 500 4X4² price AED 680,000, with cruise control, tuner/radio, climate control. It has black interior and is Black. Blue SUV/Crossover, red on the inside with tyre pressure warning system and ABS. 21″ wheels. Mercedes-Benz G 63 AMG with many features, including USB, parking assist, power windows. White with brown interior. White 2014 8 cylinder pick up truck. White interior. It has 4WD and rear TV screens. 2017 Mercedes-Benz G 63 AMG, price AED 370,000, white SUV/Crossover, tan on the inside with trailer coupling and parking sensor rear. 21″ wheels. GCC spec Mercedes-Benz with Airbags (front and side), 20″ wheels and MP3 interface. Price reduced! Opportunity! A 2014 white Mercedes-Benz G 63 AMG V8 BITURBO now available at a reduced price. Automatic Mercedes-Benz G 55 AMG with 21 inch wheels, ABS, bluetooth system, burgundy on the outside, beige interior. 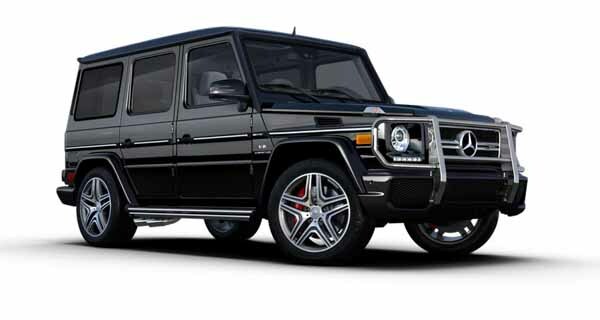 GCC spec Mercedes-Benz G 63 AMG with Cruise control, 21″ wheels and Air conditioning. Price reduced! Automatic GCC spec Mercedes-Benz G 63 AMG with 20 inch wheels, tuner/radio, blind spot detection mirror, red interior, grey/silver exterior. 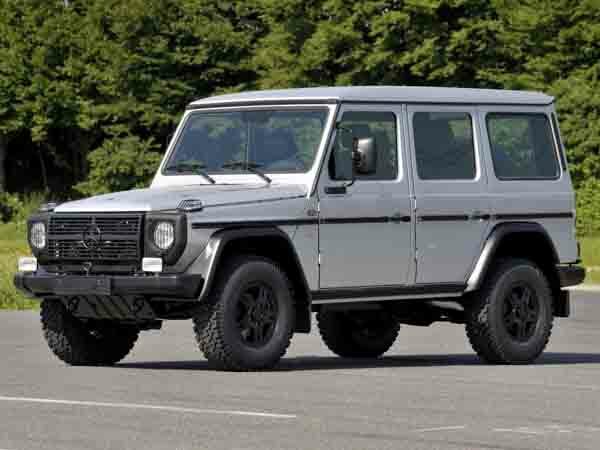 Automatic Mercedes-Benz G 500 4X4² with 20 inch wheels, power windows, electric side steps, white on the outside, black interior. Opportunity! A 2016 black Mercedes-Benz G 500 4X4² 2016 I Warranty I GCC I Agency Maintained I Service History now available at a reduced price. AED 240,000 for this GCC spec, black 8 cylinder SUV/Crossover with red interior. It has navigation system and adaptive lighting. 2016 Mercedes-Benz G 63 AMG with cooled front seats, air conditioning, MP3 interface. It has tan interior and is White. This is a white SUV/Crossover with beige inside and airbags (front and side), power windows and 20″ wheels. 2018 Mercedes-Benz G 500 with power windows, CD player, ABS. It has black interior and is Grey/Silver. 2014 Mercedes-Benz G 63 AMG with features such as parking sensor front, parking sensor rear, premium sound system. It has red interior and is White. GCC spec. Mercedes-Benz G 63 AMG with many features, including navigation system, USB, air conditioning. White with brown interior. Automatic 2011 Mercedes-Benz G 55 AMG with 19 inch wheels, airbags (front and side), power locks, black interior, grey/silver exterior. GCC spec 2016 Mercedes-Benz featuring power locks, airbags (front and side), harman / kardon sound system. Black with black interior. Automatic GCC spec Mercedes-Benz G 55 AMG with 20 inch wheels, CD player, power locks, beige interior, white exterior. Automatic Mercedes-Benz G 63 AMG with 20 inch wheels, sunroof, sunroof, brown interior, black exterior. 2017 Mercedes-Benz G 63 AMG with Rear DVDs, 21″ wheels and GCC Specs. Price reduced! Mercedes-Benz G 63 AMG 2017 EXCELLENT CONDITION-MAIN DEALER WARRANTY UNTIL YEAR 2021!GREAT DEAL! 2017 Mercedes-Benz G 63 AMG, price AED 399,000, blue SUV/Crossover, brown on the inside with sunroof and differential lock. 20″ wheels. Mercedes-Benz G 63 AMG 2017 WITH REAR ENTERTAINMENT! AMG STEERING WHEEL 5Y WARRANTY! 2017 Mercedes-Benz G 63 AMG price AED 395,000, with phone set, premium sound system, power locks. It has blue interior and is Beige. Mohammed - I've had my second hand G Wagon for a year or so now, and it's an excellent everyday vehicle. It has the perfect features to keep children entertained as well when I go on long trips. Pros: Powerful presences and good build quality. Cons: Petrol gauge drops very quickly. Akeel Jacob - Very fancy looking, drives firm and great. It's super fast and ideal for off roading, also makes amazing and aggressive sound and smooth gear changes. Pros: Fast, great looks and sounds like a wild animal. Cons: High price, not comfortable seating. Klaus - When I head down to Hatta for the weekend with the family, there are no other cars in our mind to drive other than our pre owned 2014 G63 AMG. It looks great, sounds ferocious and has all the features we need. A fridge would be an added bonus. Pros: Powerful motor and great interior options. Cons: Not the best offroad. Royalty owns them, this includes His Highness Sheikh Mohammed bin Rashid Al Maktoum, Vice president and Prime Minister of the UAE. Do you really need four other reasons to buy a pre owned Mercedes G Class for sale in Dubai, UAE. It’s got the power. Available with a variety of engines ranging from a V6 and capping out at a V12 monster. No matter where you need to go, the G-Wagon will get you there. No matter how long you hold on to it, it’s always going to hold some value due to its immense popularity around the GCC and export markets such as Russia, Japan and America. It’s got iconic styling not to mention status. When people see you driving around in one of these, they’ll know you mean business. Fantastic interior options and of course great resale value as there are plenty of second hand Mercedes G Class for sale in Dubai, UAE. Did you know that it shares its platform with the Peugeot P4 military vehicle. And if you are wondering why it’s called the G-Class, the G stands for Geländewagen which translates to cross country vehicle. Two of the most popular models and most recent. Only joining in on the fun in 2013, these cars came with all the amenities to rival a limousine and the interior of one too. Rear TV screens, DVD player, rear camera, cooled front seats, Bluetooth, cruise control, sunroof, premium sound system and much more come as standard. Exterior styling is similar to other G-Wagon’s, with its boxy shape they only noticeable difference is the badge at the back. 20-inch rims come as standard as does a metal brush guard, parking sensors, ABS, STM and TC amongst others. The Diff lock can be operated by three buttons inside the cabin. G63 models are powered by a massive 5.5-litre V8 petrol motor with twin-turbo. 571 horsepower is sent to all four wheels via 7-speed automatic transmission. And just in case that wasn’t enough, G65’s are powered by the even larger heart-stopping V12 6.0-litre twin-turbocharged engines pumping out a whopping 630 horsepower through a 7-speed automatic gearbox. Both SUV’s can accelerate to 0-100 km/h in less than 6.3 seconds and can reach a top speed well past the 200 km/h mark. G63 models come in a variety of shapes and sizes; 4 door, 2 door and convertible whereas the G65 is only available as a four door model. Originally Mercedes produced this as a concept and thought no one would buy it! What crazy people they were then, because as soon as they showcased it potential customers went banana’s and did whatever they could to get their hands on one of the very few monoliths. With enough ground clearance to allow a formula one car underneath, this beast is powered by a 5.5-litre Biturbo V8 engine that powers all six wheels. Mated to a 7-speed automatic gearbox 536 horsepower is generated and is able to propel the monster from 0-100 km/ in 7.8 seconds and with a top speed of 161 km/h, anything in its path is sure to be chewed up and spat out of the dual exhaust tips either side. Inside, It’s as luxurious as any other G-Wagon. With a four-seat set-up, high-grade leather, cooled front seats, navigation, on board compressor, powered seats and many more luxurious features it’s difficult if what vehicle you’re in until you look out the window and just see small cars everywhere. It wouldn’t be a G-Wagon without the iconic square shape, and of course, these three have that shape. With minor differences to the G63 and G65 as they have their own unique markings and they lack a few bits and bobs. The wheels are different, as is the front grille. Inside it may look familiar to the untrained eye, navigation, Bluetooth, cruise control, climate control, sunroof and features like that are present. The options that aren’t included are the rear TV screens and DVD player. All models come with five seats. However, seven-seater versions are available. 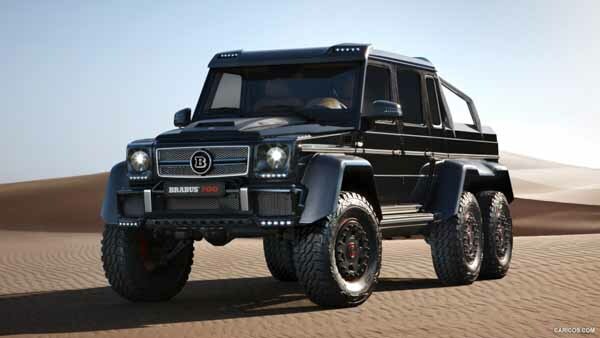 Following in the footsteps of the G63 AMG 6x6, the German manufacturer also produces a massive G 500 4x4². With its massive ground clearance, 22-inch rims, carbon fibre trim and LED fog lights, Inside, it’s identical to regular G 500 models inclusive of cooled front seats, sunroof, navigation, cruise control, sunroof and more. Whilst the G 500 and G 550 are still going strong to this day, the G55 was last produced in 2011. Current versions of the G550 are powered by a 4.0-litre twin turbo V8 motor that generates around 471 horsepower and is sent to all four wheels via a seven-speed automatic gearbox. G 500 also pack the same engine with reduced horsepower, instead pumping out 421 horsepower. 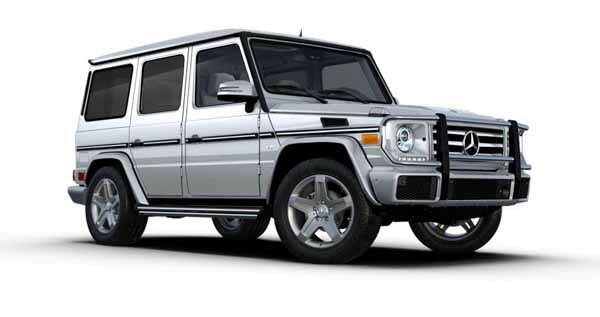 G55 AMG models were powered by a 5.5-litre supercharged V8 petrol motor generating 500 horsepower and sends it to all four wheels via a 5-speed automatic transmission. These models were produced in quite a number of body styles including the SUV, coupe, convertible and is the only G-Class series to have an extended wheelbase version. Many of these vehicles are hidden in plain site across the Emirates as they will be decorated with a G63 kit and have the correct badges to appear legitimate. Very rarely do you see any of these on the roads of the Dubai let alone the UAE entirely. Most of them are import cars bought in from overseas and pack basic features compared to the likes of it’s more powerful brothers. Leather seats, CD player, climate control, powered seats and the three iconic diff lock buttons were stock. Powering these models would either be a 3.2-litre V6 petrol motor driving the all four wheels via a 5-speed automatic or a 3.0-litre V6 diesel engine powering all four wheels via a 5-speed transmission as well. GCC spec’d versions stopped around 2005 but do exist outside of the region. These models were offered either as a 4 door or 2 door SUV and a convertible.